WELCOME TO THE LAZO LAB! 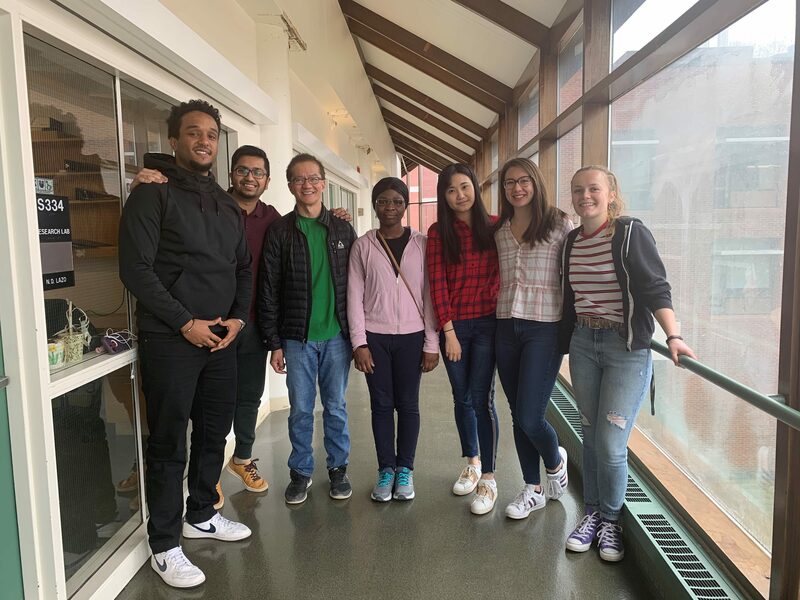 Current lab members (L to R): Mike Kebede (accelerated BA/MS expected in 2019), Saadman Islam (accelerated BA/MS expected in 2020), Dr. Noel Lazo, Merc Kemeh (PhD student), Amy Zheng (PhD student), Bethany Lee (Class of 2020) and Lili Wurfl (Class of 2019). Amyloid proteins associated with amyloidoses including the islet amyloid polypeptide in type 2 diabetes, the amyloid-β protein in Alzheimer’s disease, and lysozyme in systemic amyloidosis; keratins and collagens in the skin blistering disease called epidermolysis bullosa. 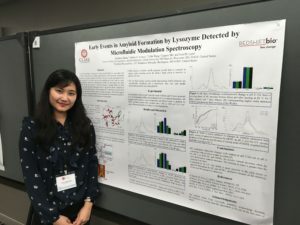 We use a variety of biophysical and biochemical techniques including nuclear magnetic resonance, circular dichroism, limited proteolysis/mass spectrometry, electron microscopy and molecular modeling to probe the folding and self-assembly of proteins associated with disease. 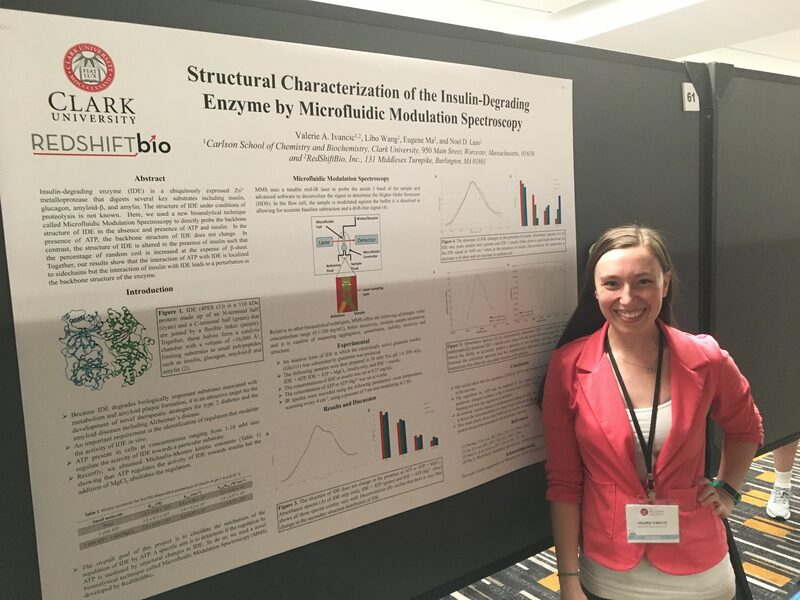 Val presented a poster on the characterization of the insulin-degrading enzyme by a novel technique called Microfluidic Modulation Spectroscopy at the 32nd Annual Meeting of the Protein Society held in Boston. Amy presented a poster on the use of Microfluidic Modulation Spectroscopy to elucidate early events in amyloid formation at the 32nd Annual Meeting of the Protein Society held in Boston. Congratulations to Claire for completing her accelerated BA/MS degree in Biochemistry and Molecular Biology. Two articles from her work are now in print (#46 and #47 in our publications page). Amy’s paper on the mechanistic studies of the inhibition of insulin fibrillation is now out in the Journal of Physical Chemistry B (#45 in our publications page).